Located in Trumbull, Connecticut, Cooperative Educational Services is a school for the developmentally challenged. The student body includes, but is not limited to, individuals encompassing the full autism spectrum (ages 4-21) as well as emotionally disturbed children and teens (ages 6-18). Kenneth Boroson Architects’ involvement with CES has given us insights into the environments required for a variety of special needs individuals. Examples of design issues include color and pattern choices, specialized furniture, acoustic separation and protection of users from hazards. 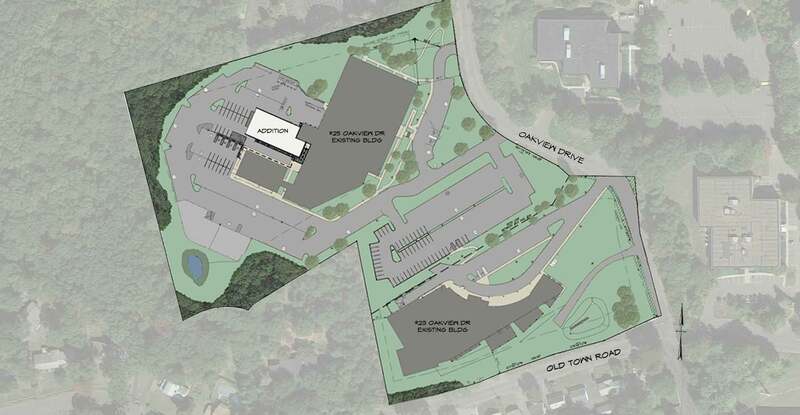 The scope of this particular project required expanded learning areas for the current student population, necessitating the addition of a new 15,000-sf wing to the original 93,850-sf building. 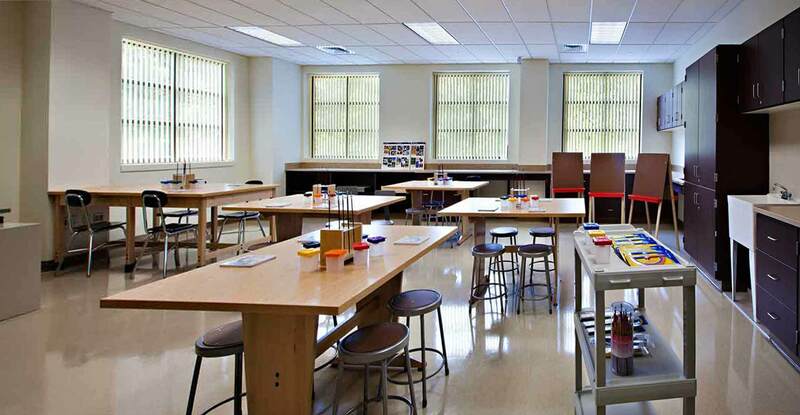 In addition to general classrooms, the new space includes art and science classrooms as well as a media center, recreation room, therapy room, parent room and administrative offices. 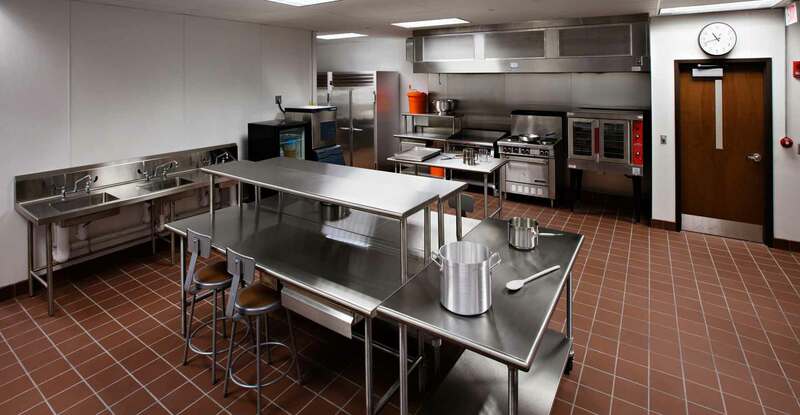 It also includes an “Activities of Daily Learning” classroom, which incorporates a kitchen. 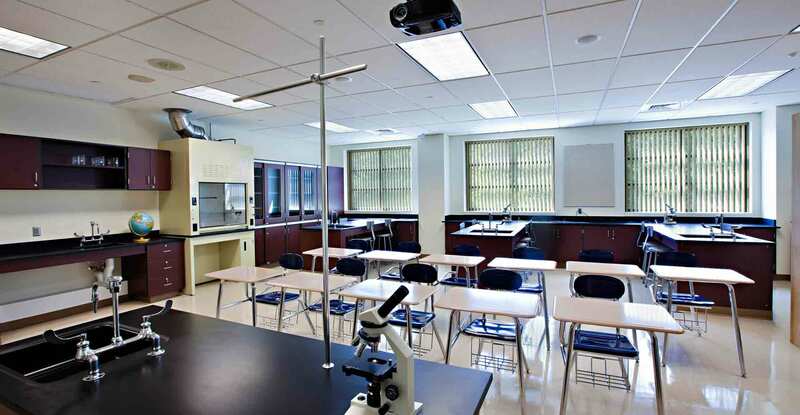 The “ADL” classroom is utilized to help prepare students to transition to independent living environments and to develop skills to aid possible future employment. The building's exterior utilized masonry to match existing, but improved upon the size and patterning of the windows to create an abundance of natural daylighting for the new program spaces.